Our minds can be our own worst enemy. We can so easily become our biggest critics, letting ourselves drown in negativity, and getting so low that we can’t possibly see any light ahead. When we get to these low points in our lives, it can seem endless, but all it takes is a shift in perspective and the determination for change. It’s going to take active measures and commitment to invite positivity into your life and make it the most valued guest in your mind. 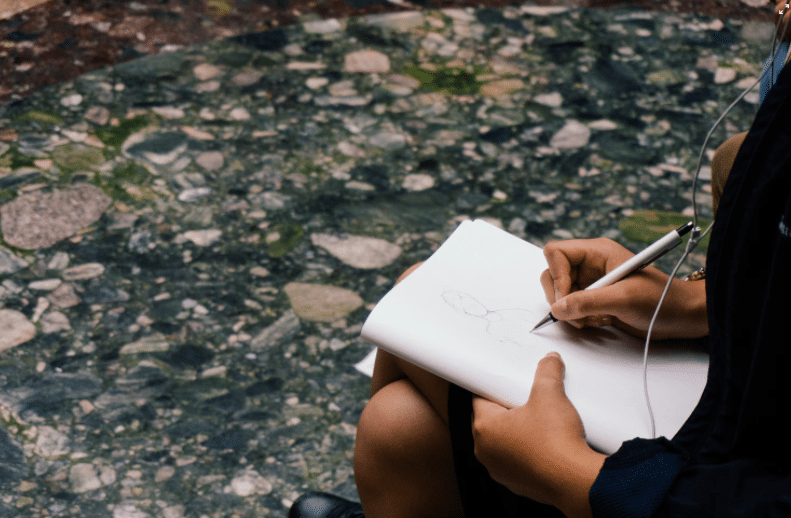 I find that journaling is a fantastic way to jumpstart this journey as it requires a healthy amount of introspection, planning, and reflection. These 5 journaling activities will challenge you to focus on the good and let go of the bad. Get ready to make way for a more positive life ahead! In order to start your journey toward a more positive life, you must let go of the negative baggage dragging you down. A great way to do this is by writing thank you letters in your journal dedicated to these detractors. Write letters to negative people, traumatizing experiences, or anything else that plagues your mind. Thank them for the lessons you have learned as a result of your experience with them and recognize that you have become a better person for it. Express all of the feelings you have associated with these negative forces and say farewell to them for good. In this activity, you are letting go of this baggage and no longer giving it permission to control your life. Here’s an added bonus: rip out these pages and burn them! You will feel a great release and sense a fresh start on the horizon. We tend to always remember the negative things that happen to us and neglect the many good moments that occur on a daily basis. Utilize your journal to document every positive thing that happens throughout your day. You will be surprised at how much of that you let yourself forget! There’s nothing more positive than achieving something you have set out to do. You can make it even more of a valuable experience by recording these goals. Use your journal to write down a list of things you would like to accomplish and make sure to come back to record updates as you progress. You will quickly see how your life moves forward and how you are making efforts to become a better person. It has also been said that when you write down goals, you are significantly more likely to achieve them! Tackling goals and creating a more positive life? Seems like a win-win to me. The best part about writing in a journal is that it is a no-judgment zone. You won’t have anyone checking for grammar, commenting on your unsavory penmanship, or passing judgment on your thoughts. This gives you the opportunity to be yourself and express your emotions in any way you wish. Journaling can be as casual or formal as you want it to be. This element of freedom lets you feel more comfortable with “speaking” to your journal and this allows you to better express yourself and work through your emotions. When you have something like this to rely on, you won’t feel so alone and empty in your feelings. When it comes to living a positive life, it’s all about looking forward. You are no longer going to dwell on the negativity of the past and on things you cannot change. With this activity, you are going to list everything you are looking forward to. These can be simple things, like your next paycheck or family visit, or they can be long-term visions, like succeeding in your business or marrying the person you love. There are always things we can look forward to in life and when you write them down, you won’t be able to help but feel a wee-bit excited. Nicole DaRosa is passionate about helping women become their most glamorous selves, inside and out. She writes about self-improvement, beauty, journaling, careers, and more on her blog, Glamorously You. I have had so many struggles in life and I still do. Moving forward is not really especially if one never deals with problems. I never face my problems i just move them at the back of my mind or just suppress them. I have done this for so long and now I suffer from anger episodes and am easily triggered.